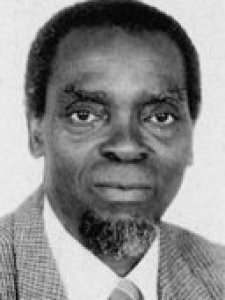 Essien was educated in Ibadan and London, and is prof. of haematology, Univ. of UYO, Nigeria. He was prof. of haematology, Univ. of Ibadan; dir., Natl. Inst. of Medical Research, Lagos; founding dean, Clinical Sciences, Univ. of Gambia; coordinator, Transfusion Medicine Training Programme; pres. IX Congress, Lagos and vice pres., Intl. Society of Haematology. Member, WHO Expert Panel on Human Blood Products and Related Substances and WHO Expert Committee on Biological Standardization. He was visiting scientist at McMaster and Leuven. His awards include: 1993 TWAS Award in Medical Sciences; 1997 Nigerian Natl. Order of Merit and 2000 Officer of the Order of the Niger. His membership includes the Nigerian Acad. of Science, African Acad. of Sciences and Intl. Society on Thrombosis and Haemostasis. His research covers platelet dysfunction in acute malaria, haemophilias and clinical research in sickle cell diseases. Keywords	 Platelet dysfunction in acute malaria infection, clinical and experimental; clinical research in haematological malignancies; iron deficiency anaemias; sickle cell anaemia-clinical, clinical trials of new management strategies; training in transfusion medicine, assist project.